1. 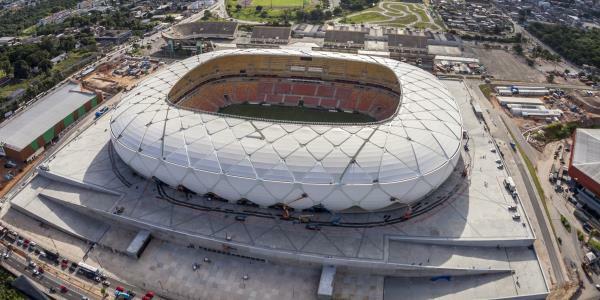 The stadium is called The Arena da Amazônia. 2. The world cup is going to take place in Brazil. 3. Brazil is famous for Rio. 1. What team do you think will win and why? 2. When will you cheer on Brazil? 3. How good are you football skills?